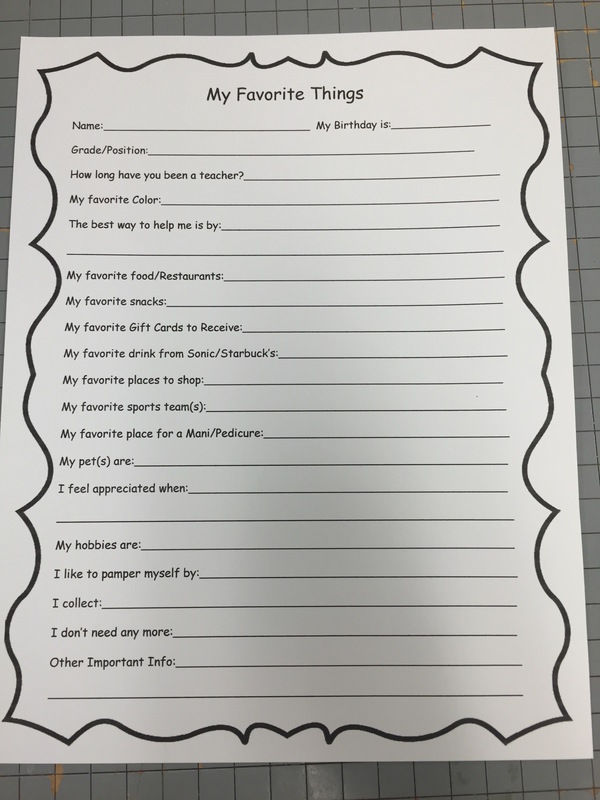 Every teacher and staff member fills out a list of favorite things so we as parents and students can be sure to surprise them for birthdays or teacher gifts in a way that is meaningful and helpful. We have the lists sorted by grade so you can quickly find you teacher in the attachments below. This entry was posted in School Support and tagged by class, classroom, donations, favorite things, Featured, gifts, room mom by cmamantov. Bookmark the permalink.